The powers of the Realm of Chaos have long fought for dominance between themselves and the inhabitants of the Warhammer world woe the day that the petty rivalries of the chaos gods should end. 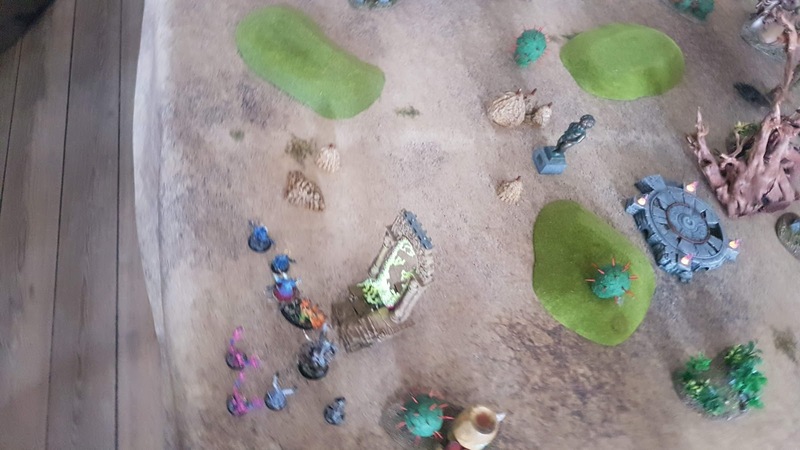 However until that day, life in the chaos wastes will continue to serve as a colourful backdrop for skirmish games! My Slaaneshi warband with Dark Elves, Deamonettes and Chaos Warriors! 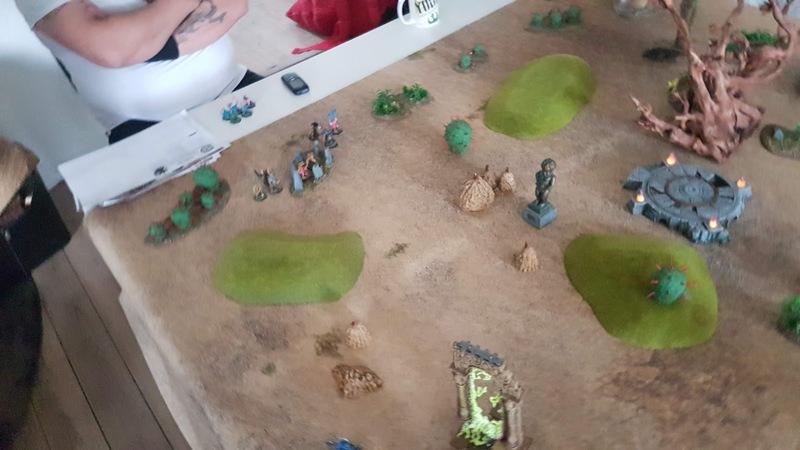 Together with 3 other gamers (old usual suspects) I had planned a gaming day where each gamer made a warband consisting of chaos figures in allegiance with a desired god. 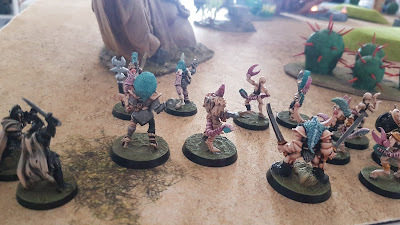 I chose to make a slaaneshi warband, Slaanesh being one of my starting points in 40k years ago. 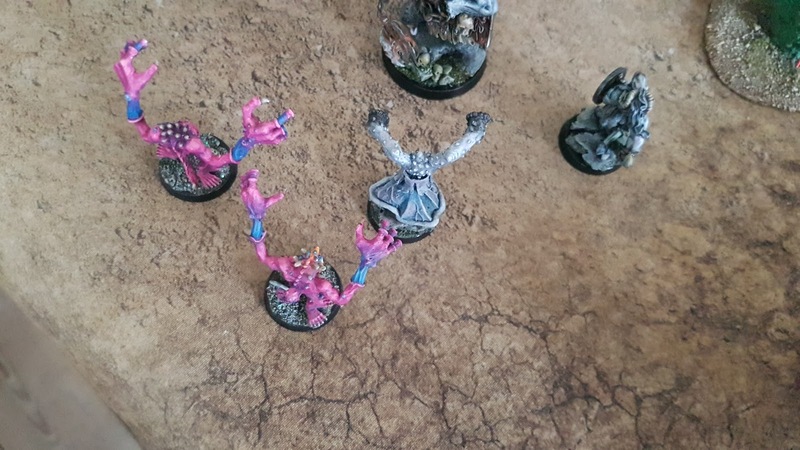 Jonas and Karsten both chose the god of fickle scheming, Tzeentch, and Daniel went for Nurgle... amazingly no one cared about Khorne. With this in mind we made 50 pts Age of Sigmar warbands. Unfortunately the rules changed in the middle of it all but we just stuck to the original idea. The scenario was simple enough. Each player would bring 2 secret encounters (I brought 4, anticipating that someone wouldn't manage or forget theirs) and two pieces of terrain of which one should be chaotic. On the table there would be 8 objectives, each time an objective was taken a secret encounter would be triggered. 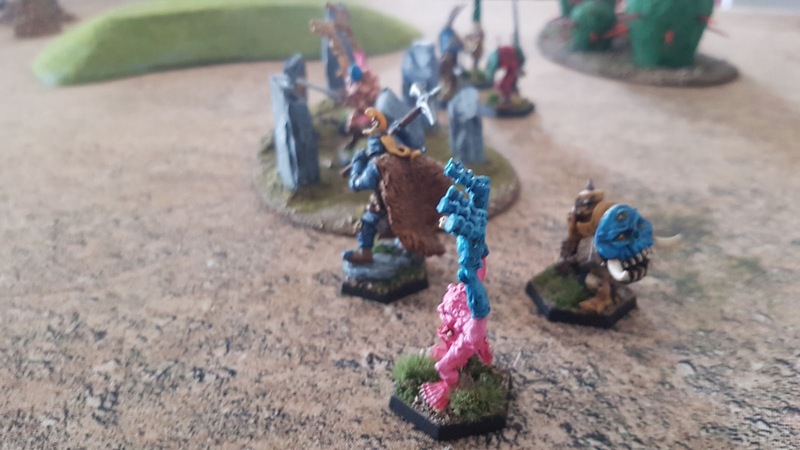 The players were completely free to choose what the encounter was - an event, a monster or whatever. The warbands started in each corner. For my terrain I brought two portals that were connected. Karsten brought an "eyeplant" and a summoning circle. The rest of the terrain was normal fantasy terrain more or less. We didn't decide on any rules for the terrain but this obviously could have been done. The objectives were distributed randomly all over the board. What was a nice long fisticuffs between the warbands. All four of my encounters were triggered. None of them did much however, and the school of change simple turned around and went of table. Jonas had brought a TARDIS and a Trojan rabbit. 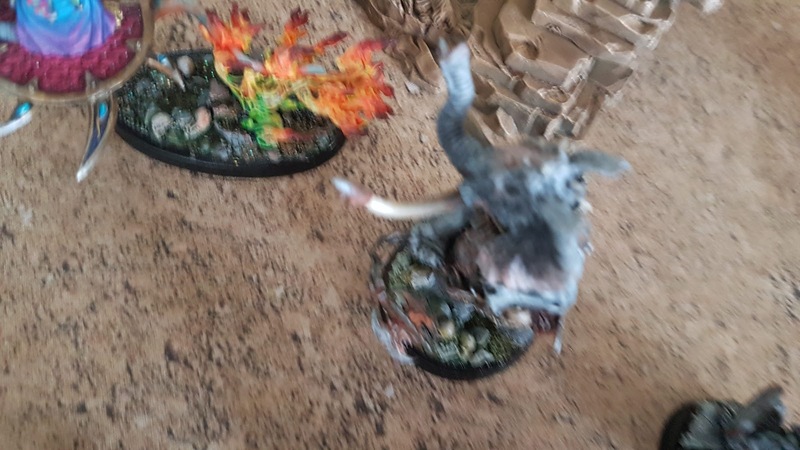 The rabbit fell from the sky and squashed my beastman. 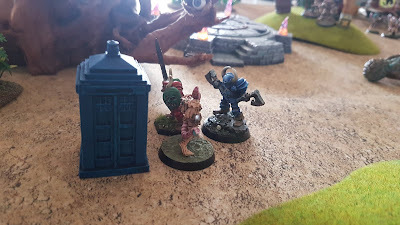 The game ended before the TARDIS really got any use. 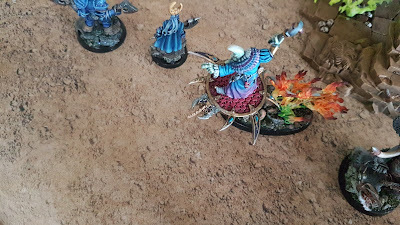 Jonas had painted a nice Tzeentch warband. Karstens leader was especially fascinating! And he even had an elephant beastman! How cool is that! The TARDIS arrived just on time. It was a nice small game. We didn't manage to finish it though as we had to start cooking dinner... ahem! Next time we play something similar we will have to make sure to use the Triumph and Treachery rules as that would really have spiced this up.